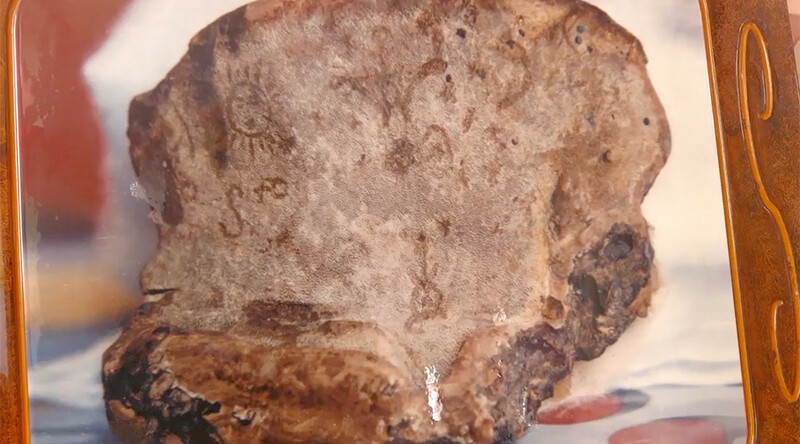 A mushroom boasting the image of Jesus Christ on the cross has a town in Mexico absolutely thrilled. On Tuesday locals in the town of Chignahuapan celebrated the annual festivities held to mark the first discovery of the holy mushroom, believed to be 137 years old. The story goes that the mushroom was found in the woods by a lumberjack, who brought it back to Chignahuapan. One by one people came to see the image of Christ, bringing with them a rock each visit until enough were accumulated to build the Iglesia del Honguito church. It now sits in the church protected in a casing and believed to bring good luck. "A nephew of mine had an accident and I prayed for him not to be taken away, because he was in a very critical condition and was not likely to survive surgery. But thank God everything went well. Both times I asked, the little mushroom answered,” a local said. Tell us what you think? Does the mushroom look anything like Jesus?